The Nobby Crespo Cat Tree is an absolutely stunning floor to ceiling cat tree that is a real eye catcher. 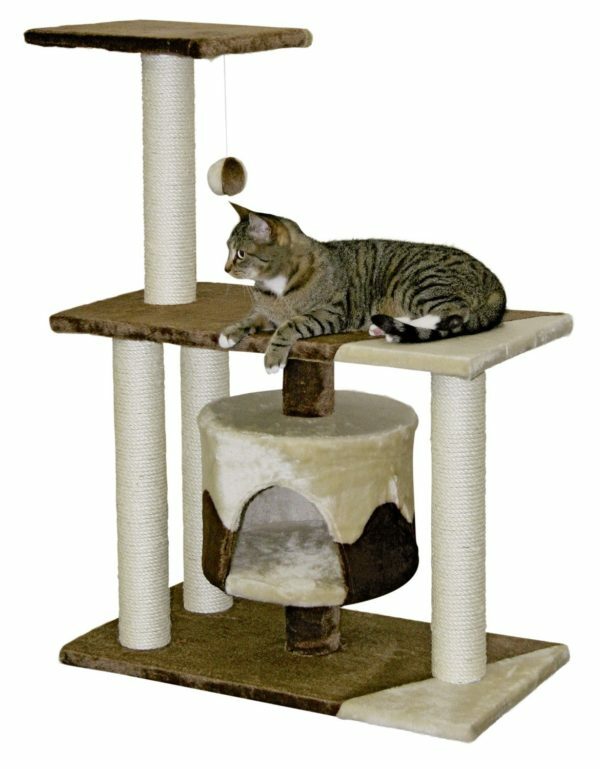 This entire cat tree has been finished in gorgeously plush beige materials that look great and also feel great as well. With several platforms where you feline can perch and watch the world go by, and numerous hanging balls which dangle down enticingly for them to try and catch and paw at. This cat tree gas it all and more! The stunning design will look magical within your home, although the purpose of this cat tree is not to simply look breathtaking. It is made to fulfil every practical desire of your kitty. From scratching to napping, this cat tree is a practical solution for your kitties entertaining needs.